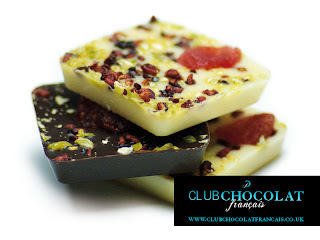 The delicious smell when you open this box of 'folies gourmandes' from Club Chocolat Francais is not just of chocolate and sugar, but there is a strong smell of fruit! This selection of chocolates includes glorious slices of crystalised orange dipped in dark chocolate, and chocolates flavoured with strawberry, raspberry, cranberry, passionfruit as well as caramel, coconut and almonds. 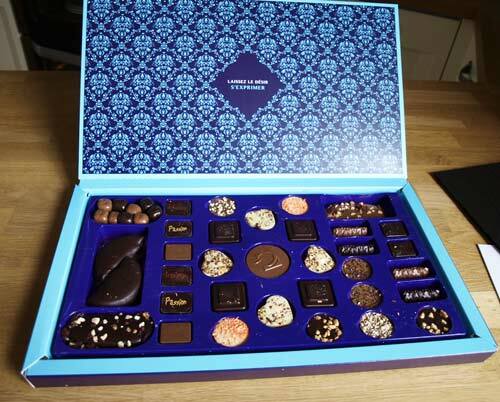 I really enjoyed these chocolates, the chocolate is very good quality and the flavours are not the same sort of selection we have here in the UK. 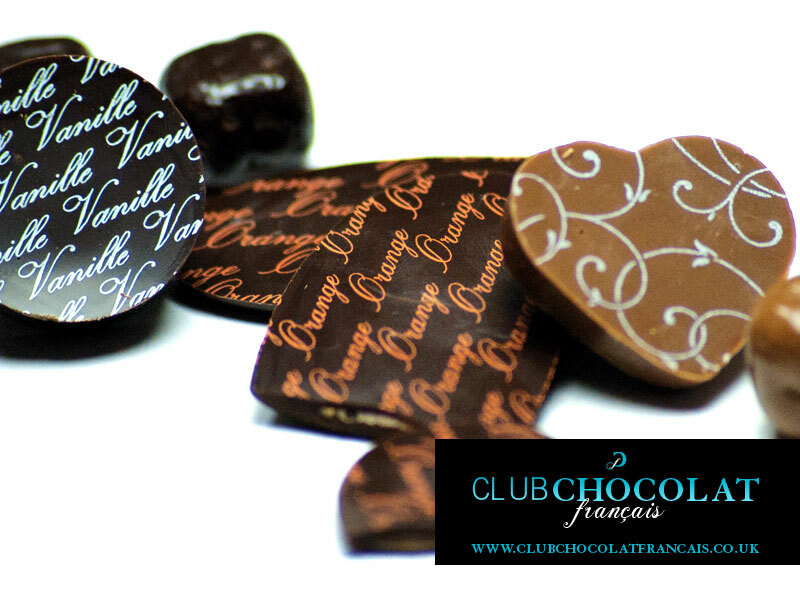 Club Chocolat Francais is a gourmet chocolate tasting club. Members are invited to participate in the creation of new and exciting chocolates as well as to share tasting notes and experiences with other members. They are currently running an introductory offer on their 12 month subscription with the first month costing £9.95, the 11 months will be the usual price of £19.95. I'm afraid I would not be willing to spend £20 on a box of chocolates and certainly not every month, no matter how good they are. 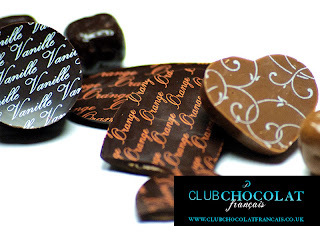 But if you are passionate about your chocolate have a look at the Club Chocolat Francais or if your purse or your inclination does not stretch to a large box of chocs every month then you might also want to check out the chocolate boutique where smaller quantities of chocolates, including Agen Prunes dipped in chocolate, are on sale. 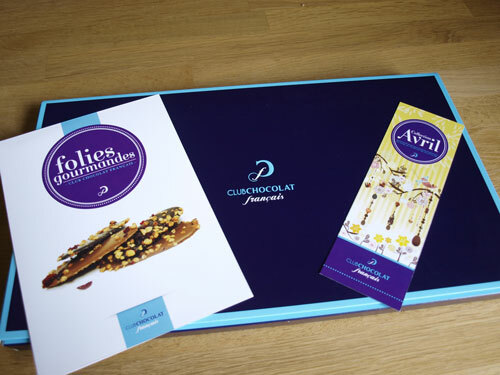 Disclosure Statement: I received this box of Club Chocolat Francais chocolates for review. I was not required to write a positive review. The opinions I have expressed are my own. The prices are correct at time of posting.